As one of the leading civil engineering firms in Toronto, we are here to ensure the success of your upcoming project. At Belanger Engineering, we proudly maintain our status as one of the leading civil engineering firms in the Toronto, Ontario area. We are committed to providing quality services for all of your repair, building, and structural projects, and we will do everything in our power to ensure your project goes as planned from the design stages to the day it is completed. 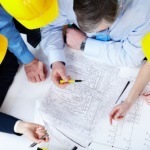 As one of the leading civil engineering firms in the Toronto area, there are many things our company can help you with. For example, if you are planning a new building project, our team can provide accurate designs and superior service to ensure the success of your project. Once the design phase is over and the building phase is approaching, we will be there every step of the way to make sure everything goes as planned. We can also supervise your project and provide long-term service to ensure the quality and efficiency of your operations. With over 25 years of experience in the civil engineering field, you can trust our team throughout all stages of your project. Although our firm is small, we hire engineers who are confident, knowledgeable, and highly skilled in their field of expertise. If you are still looking for civil engineering firms in Ontario that can help you with an upcoming building project, we highly encourage you to turn to us. To find out more about what we offer here at Belanger Engineering and how our firm will ensure your project’s success, please give us a call today. At Belanger Engineering, we are proud to be one of the civil engineering firms serving Toronto, GTA, Mississauga, Markham, and Ajax, Ontario.